Book Review: Morgan D'Arcy: A Vampyre Rhapsody and Interview with the VAMPYRE! The greatest enemy of a vampire is boredom. Four centuries of existence have taught Lord Morgan Gabriel D'Arcy to fear nothing and no one. Humans and their weapons have little chance against his preternatural speed and arcane powers. Vampires are viral mutations of human DNA. Still, the Vampyre code requires secrecy, and he has learned to hide his nature from the world. The lure of mortality, of a life in the sun, puts Morgan again and again at the mercy of calculating human women though they fail to consider his charm and determination into the equation. However, even grooming a future bride from infancy proves to be fraught with heartbreak. And second chances are not always what they seem unless... you are Morgan. Immortality and beauty, aren't they grand? This book is rich and sophisticated. The language evoking images of days gone by and love won and lost. I love how Morgan struggles with his immortality, taking chances and going against his own kind to reverse his "mutation." It makes you ache for the pain that a vampyre feels when time passes and you remain. To fall in love with an immortal would be fraught with heartache and terror. And the immortal who loves you? His time is endless and you are but a blip in his seemingly never ending existence. Soulful and sensual, give this series a read! But let's here more from the Vampyre himself! Interview with Morgan D’Arcy, Earl of St. Averil, concert pianist, and…vampire. When did you become a vampire? I was infected with the virus that mutates human DNA in 1659 in France. Of course, at that time, I only knew I’d been drained near death, fed blood from my vampire mother’s veins, and woke up immortal and craving blood. Do you drink blood or are you a psychic vampire? Personally, I think the psychic vampires are more dangerous. I’m a blood drinker. What's the worst thing about being a vampire? Loss of the sunlight. I’d love to see the sun shining on the blue ocean below my ancestral home. Royal Oak perches on a hill above a hamlet on the west coast of Devon. I can see the black ocean from my bedroom window…a tragedy really. Do you enjoy being a vampire? Most times. Of course, being a vampire does present problems, sorrow and regret creep up on you when you least expect it. How do you feel about humans? I’m in love with a mortal woman to the dismay of the Vampyre Council and to my own danger. I judge humans the way I judge vampires or any other species—by their actions. But I do have to admit that beauty is high on my list of priorities. My mortal love, Isabeau, is a beautiful, intelligent geneticist. She is the culmination of centuries of dreams. Where are you from? I was born in 1632 in Devon, England. What is your life goal for a life spanning centuries? A race of immortals with human morals and gentleness—half-vampire and half-human to bridge the treacherous gulf between the two quite different species. Do you have a code of honor? I’m a relic from the Restoration era. My code of honor is often influenced by that mortal man who became the vampire Morgan D’Arcy. Now, in the middle seventeenth century, the aristocracy drank to excess, whored, and…well, I try not to allow this time of my life to rule my actions. The Vampyre Council, Les Elus, has the end say, but I’m a rebel at heart. What makes you angry? Lucien St. Albans and Les Elus. Both stand in the way of my life purpose. Les Elus forbids the creation of a DarkeChilde, a vampire-human hybrid. As you may have noticed, I’m not overly concerned with the rules. Name one person you admire. Charles II. I was with his touring band of banished Royalists after his father was beheaded at Whitehall. He suffered great hardship, and yet was restored to the throne of England without an ounce of bloodshed. Morgan will be appearing in concert at the Royal Albert in London, England on November 11th. Linda Nightingale’s Obsession series stars Morgan D’Arcy, in all his facets. The books are Sinner’s Opera, Sinner’s Obsession, and Morgan D’Arcy: A Vampyre Chronicle, the latest in the series and a good introduction to his earlier life…walk through the centuries with a piano-playing James Dean! Born in South Carolina, Linda has lived in England, Canada, Miami, Atlanta and Houston. Somewhat of a gypsy, she's seen a lot of this country through the window of a truck pulling a horse trailer. She bred, trained and showed Andalusian horses, rode sidesaddle and did musical freestyle exhibitions to Phantom of the Opera. Her stallion Bonito, imported from Costa Rica, was twice National Champion at halter. 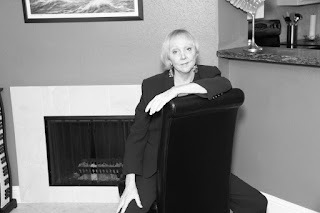 Besides writing, Linda loves horses, sports cars, books and piano. She is the mother of two wonderful sons. OR: http://www.Books2read.com/u/bQZanw - This link lists all available vendors.